Despite having re-numbered Detective Comics and Action Comics at the start of the New 52, DC Comics plans to recognize the 900th published issue of Detective Comics in April with a story that features a group called The 900, reports Comic Book Resources. DC executives also said that renumbering was not an option, reiterating that The New 52 "is not an event; it's ongoing." 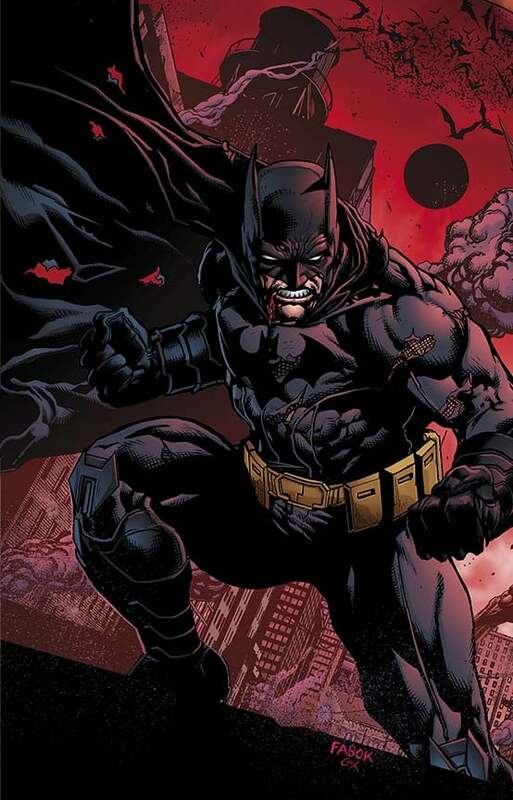 "Detective Comics," though it was renumbered, would have reached issue #900 in April. I understand you guys are doing something special for that with John Layman -- what does that special milestone issue entail? Harras: I don't want to go into too many details of what John and Jason Faybook are planning there. The concept of the number 900 is important to the story. It's something that I think will take people a little bit by surprise of what it is, but it is the theme of the issue. It's what Batman has to face. It's definitely part of the story in a big way. Chase: You can say that there's a group called the 900! "Detective Comics" is one of the longest-published comic books out there; will the numbering revert back to the old numbering after this issue? Harras: Nope. The New 52 is what DC is. It is where we go forward, it is really part of the whole being of what DC is. Chase: Like we've said, it's not an event: It's ongoing. Harras: It's the redefinition of our line, which we will continue moving forward. One has to wonder whether "The 900" will tie into the previous DC villain groups "The One Hundred" and "The One Thousand," who faced off against Booster Gold, Checkmate and the JLI in the '80s and '90s. We'll have to wait until April to see for sure...!